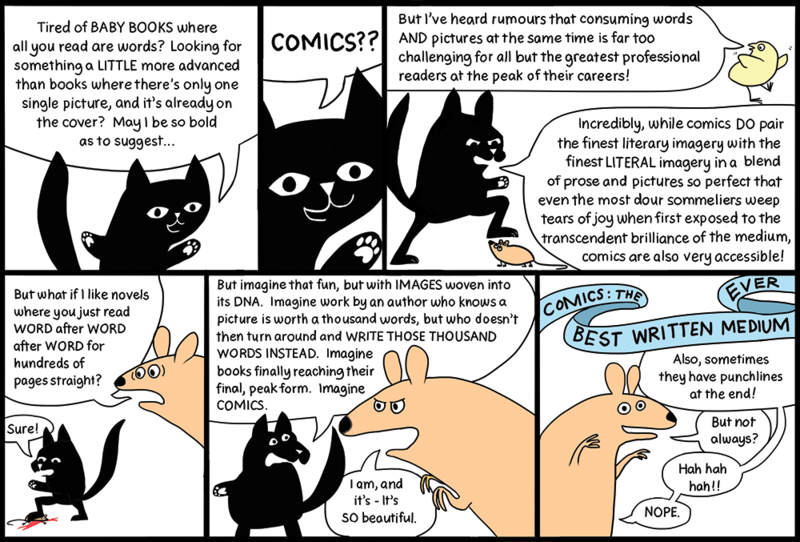 Dinosaur Comics - October 14th, 2015 - awesome fun times! –"Wasn't she the best ever?" October 14th, 2015: This weekend (October 17th-18th) I'll be at MICE: the Massachusetts Independent Comics Expo! It's totally free, totally great, and if you're anywhere around Cambridge, you should come. This comic is by Mitra Farmand who I have never met in real life before, but here we are, collaborating, thanks to the internet! Check out her comic Fuffernutter, it is extremely cute and I like it. She also likes Star Trek, so clearly we're going to be fast friends when we meet at MICE!